It’s a daunting task when choosing the right hosting service. There are many hosting services out there like GoDaddy, BlueHost, 1&1, HostGator, SiteGround, InMotion, etc. The best hosting is hard because it comes down to budget, monthly traffic, and content management system. We review the best hosting service here. There are a lot of reviews on the web regarding hosting services. However, the issue with them is that they’re repeating what’s already listed on the hosting service website. The ones with data are usually using WordPress sites with no customization. It’s sort of useful, but the problem is it doesn’t fully test the hosting providers’ services. WordPress is a very resource intensive content management system. Plus, you have to consider a custom WordPress theme and plugins being used. Those two combine could slow down your website and your website could take longer to load. However, those two could be mitigated with well written themes and plugins. In addition, a CDN (i.e., Content Delivery Network), browser caching, and few other things could speed up your website. In addition, the first thing to consider is how many running processes are allowed by the hosting service. This is important because there will be processes consistently running on your WordPress site. You want a hosting service that will allow as many as possible as your site begins to gain traffic. The less processes allowed would hinder your site’s performance. Secondly, how long does it take to fully load your site? This is important because people don’t have patience on the web. They will leave your website if it takes long to fully load. Lastly, the main thing we need to consider when picking the best hosting service is server response time. 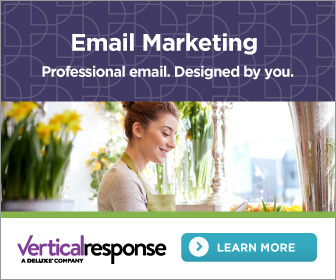 The server response time is the time it takes for the server to “get” your website deliver to the visitor. The less time the better because everything else could be tweaked. I think the best place to start with server response time would be to test the hosting service’s response time on their own site. Screenshots below. SiteGround is a great hosting service to start with. They have amazing customer service, support tickets are answered within minutes, and resolved anywhere between a few minutes to an hour. The thing I really like about Siteground is their fixes aren’t temporary fixes. They actually resolve the issue, so it doesn’t come back. They have a user-friendly customer dashboard. They use cPanel like all other hosting services. They have some of the best server response times with their Shared Hosting plans. I have a few clients who switched from BlueHost to SiteGround and they all said their page loads were cut in half. I would HIGHLY recommend SiteGround to begin your blog with. Check out their current deals here. My site is hosted on InMotion’s VPS plan because I got frustrated with BlueHost Optimization for WordPress. I was having issues with BlueHost everyday. I switched to InMotion and I’m pretty happy with their customer service and page load speeds. InMotion’s server response time is 1/5 of BlueHost’s Optimization for WordPress. The interface is really easy to navigate and the customer support is really good. They use cPanel like the other hosting companies. InMotion is a little more expensive, but it’s worth the premium to ensure your website is always online. They have similar plans to BlueHost, but they don’t offer unlimited storage. Check out their current deals here. This is another popular hosting service. I heard the speed is better BlueHost, but I’ve heard they’re kind of shady. I actually signed up with them then canceled the same day. It took two weeks for me to get my refund. I had to contact them again to get my SSL refund. It was annoying, but they have really good deals on WordPress Hosting. In addition, I heard their cloud service is a lot better than their Shared Hosting Plan. Cloud is the way to go if you’re looking to make sure your website is always online. The “Cloud” spreads your websites across different servers to make sure server space is always available. However, they’re owned by the same company as BlueHost. I don’t think I would recommend them despite what other hosting review websites says about them. They’re having a current deal with 60% off and $5 USD for a domain name register. Deal page here. WP Engine is a premium hosting service. They have data centers in the UK, US, Belgium and Taiwan. In addition, they have one of the fastest server response time between all the mentioned hosting services. They offer a fully managed WordPress plan where all you need to worry about is creating content. They handle security, speed, and the rest. It’s a great option for those with a large budget. 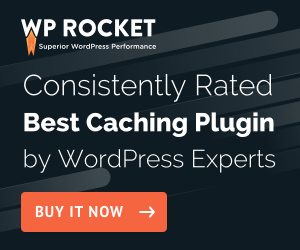 The negative thing about WP Engine is they ban a lot of popular WordPress plugins like Jetpack and Wordfence. They don’t allow you to use plugins with duplicate functions. I think the main negative about them is their price point. They’re really expensive, but you’re paying for speed and a managed service. Check out their prices here. BlueHost is the most popular hosting services. It’s dirt cheap, comes with unlimited domain hosting (i.e., multiple websites), free domain, and costs about $3 a month. It’s a good place to start if you don’t expect too much traffic. How much traffic? Like 20 visits a day. Seriously. It has an easy cPanel interface. 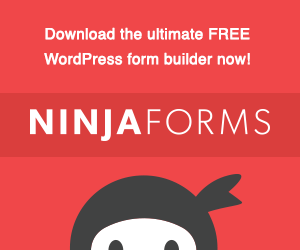 It’s pretty easy to get up and running with their 1-click WordPress Installation. However, I’m not a fan of their Shared Hosting service. I have clients on it and they’re always complaining about the Shared Hosting Plans. However, they run a content filled websites with an e-Commerce store. In addition, a lot of them are running 5-10 websites on the plan, which isn’t a good idea on Shared Hosting. In addition, Bluehost’s Cloud is a lot better than their Shared Hosting. Cloud is the way to go if you’re looking to make sure your website is always online. The “Cloud” spreads your websites across different servers to make sure server space is always available. BlueHost Optimized Hosting for WordPress is their VPS plans tailored to WordPress websites. It’s supposed to be a lot better than their other plans. It’s definitely faster than their Cloud and Shared hosting; however, BlueHost configuration and server response time is terrible. With that said, I wouldn’t recommend starting your blog on BlueHost. My site was on BlueHost Shared Hosting then Optimized for WordPress. The load times were a joke and their customer service is a bigger joke. I’ve known multiple people who have used BlueHost and they all complain about their service. From their Live Chat to their server, they all had negative things to say about BlueHost. I think a good indication of their terrible service would be to check how fast their own website loads relative to other hosting companies. Wiht all that said, I don’t consider them anywhere near the top 20 for best hosting service. Check it out for yourself here. It’s hard finding the best hosting service provider. However, it comes down to your needs and budget. If you’re a power WordPress user (i.e., multiple plugins, images, eCommerce store, etc), it’s best to go high-end with your hosting service provider. It’ll save you the time and headache I’ve experience with budget hosting companies like Bluehost. Lastly, I would recommend checking out InMotion Hosting or SiteGround. They provide the best server response time and their plans are budget friendly. The list you mention they are the best hosting service providers. Almost all over the world people know about them but the metrics you are shown its really good. Yes. I totally agree. I wouldn't recommend BlueHost to anyone though.